Wholesale Trader of a wide range of products which include abiraterone acetate 250 mg, arimidex 1 mg tablets, entavir, entavir 0.5 / 1.0 mg tab, geftinat tablet and lenvima (lenvatinib). 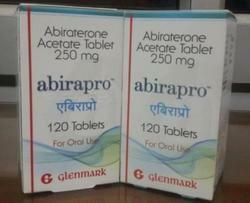 Manufactured by: Glenmark Pharmaceuticals Ltd.
Arimidex Tablet is a prescription hormonal treatment that helps fight breast cancer by lowering the amount of estrogen in the body. 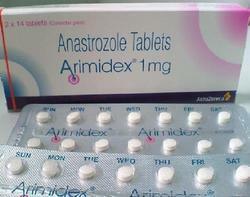 ARIMIDEX is a selective, non-steroidal aromatase inhibitor, which significantly lowers serum estradiol (estrogen) concentrations, without interfering with the formation of adrenal corticosteroids or aldosterone. 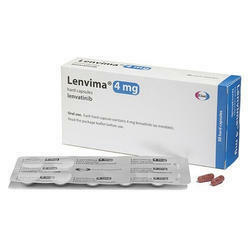 Entavir 0.5 / 1.0 mg is predominately used to treat chronic hepatitis B infections. It is an anti-viral medication that helps to prevent the virus from multiplying and spreading to non-infected cells. potency :- 0.5 and 1 mg.
packing :- 10 tabs per strip. 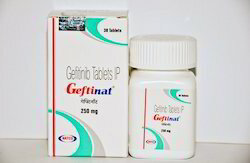 Geftinat 250 mg tablet is used to treat adults with non-small cell lung cancer (locally advanced or distance spread. It can be taken with or without food, but it is better to take it at a fixed time. 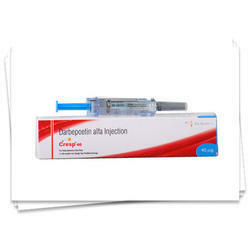 Cresp 25mg,40mg, 100mg & 200mg ( Darbepoetin Alfa ) Injection is a man-made form of a protein that helps your body produce red blood cells. The amount of this protein in your body may be reduced when you have kidney failure or use certain medications. When fewer red blood cells are produced, you can develop a condition called anemia. 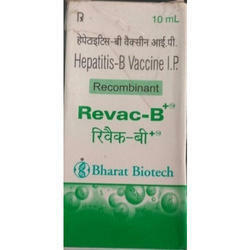 Hepatitis B vaccines are used for active immunisation against hepatitis B infection. Two types of vaccine have been available each containing hepatitis B surface antigen (HBsAg) adsorbed onto aluminium hydroxide or a similar adsorbent. Tigecycline is used to treat various types of infections such as complicated skin and skin structure infections, complicated intra-abdominal infections and community-acquired bacterial pneumonia. 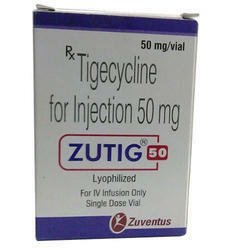 Tigecycline belongs to a class of drugs called tetracyclines. It works by preventing the bacteria from multiplying. 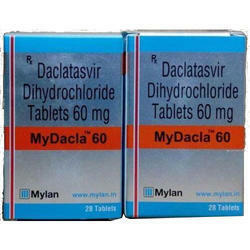 Mydacla 60mg tablet is used in the treatment of chronic hepatitis C .
Viraday Tablet is used for the treatment of HIV infection, HIV, hepatitis b virus and other conditions. 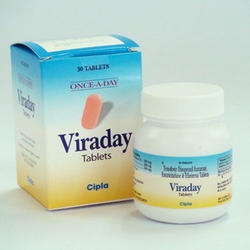 Viraday Tablet contains the following active ingredients: Efavirenz, Emtricitabine, Tenofovir. 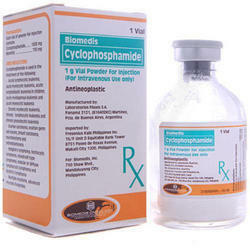 We are specialized in offering excellent quality Cyclophos Phamide that is used primarily for treating several types of cancer. It slows the growth of cancer cells by interfering with the actions of deoxyribonucleic acid (DNA) within the cancerous cells. Referred to as a cytotoxic drug, this medicine may also be used in combination with other drugs to treat breast cancer, leukemia and ovarian cancer. 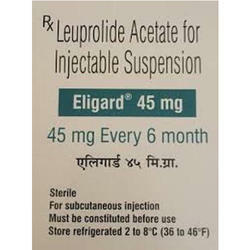 Further, this drug is also approved for treating nephrotic syndrome (a disease of the kidneys) in children. Looking for Tablets Sections ?